Product prices and availability are accurate as of 2019-04-19 08:06:56 EDT and are subject to change. Any price and availability information displayed on http://www.amazon.com/ at the time of purchase will apply to the purchase of this product. Includes / Benefits: Breathe Easy: Improve Respiratory Function Calming Sleep: Promote Sleep Tranquility: Calm Body and Mind Thrive: Promote Immunity Harmony: Achieve Internal Balance Relaxation: Relax Body and Mind Ingredients: Breathe Easy: Eucalyptus (Eucalyptus globulus), Peppermint (Mentha piperita), Basil (Ocimum basilicum), Tea Tree (Melaleuca alternifolia), and Rosemary (Rosmarinus officinalis) Essential Oils. 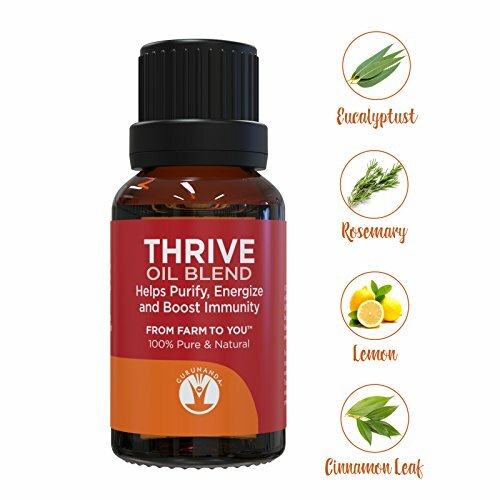 Thrive: Clove (Eugenia caryophyllus), Lemon (Citrus limon), Cinnamon (Cinnamomum zeylanicum), Eucalyptus (Eucalyptus globulus), and Rosemary (Rosmarinus officinalis) Essential Oils. 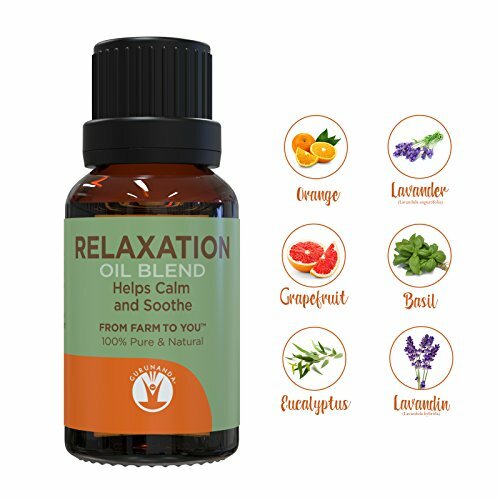 Relaxation: Grapefruit (Citrus paradisi), Orange (Citrus sinensis), Eucalyptus (Eucalyptus globulus), Lavender (Lavandula angustifolia), Lavandin (Lavandula hybrida), and Basil (Ocimum basilicum) Essential Oils. 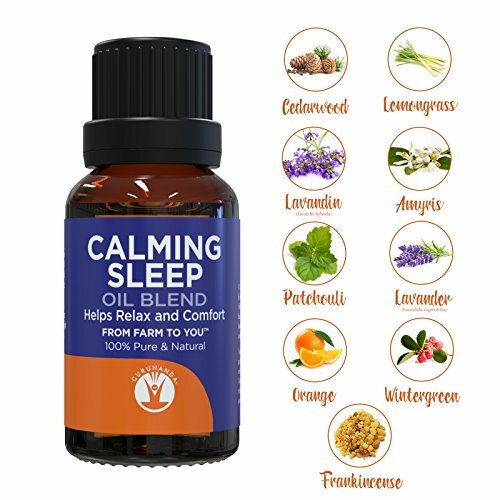 Calming Sleep: Lavender (Lavandula angustifolia), Lavandin (Lavandula hybrida), Wintergreen (Gaultheria procumbens), Frankincense (Boswellia serrata), Amyris (Amyris balsamifera), Lemongrass (Cymbopogon flexuosus), Lemon (Citrus limon), Orange (Citrus sinensis), Cedarwood (Deodar cedar), and Patchouli (Pogostemon cablin) Essential Oils. 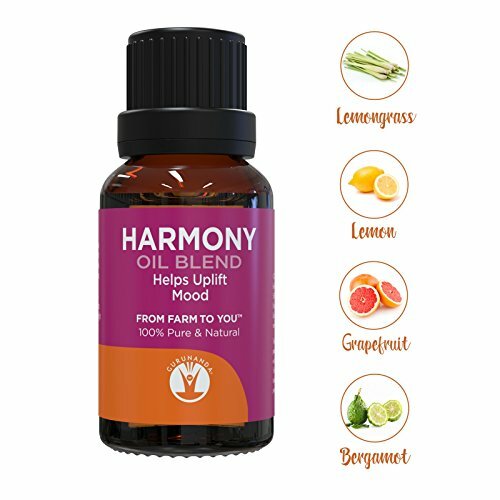 Harmony: Lemon (Citrus limon), Petitgrain (Citrus aurantium), Bitter Orange (Citrus bergamia), Bergamot (Citrus bergamia), Lime (Citrus aurantifolia), Orange (Citrus sinensis), Lemongrass (Cymbopogon flexuosus), Vanilla (Vanilla planifolia), and Grapefruit (Citrus paradisi) Essential Oils. Tranquility: Spearmint (Mentha spicata), Cedarwood (Cedrus atlantica), and Patchouli (Pogostemon cablin) Essential Oils. 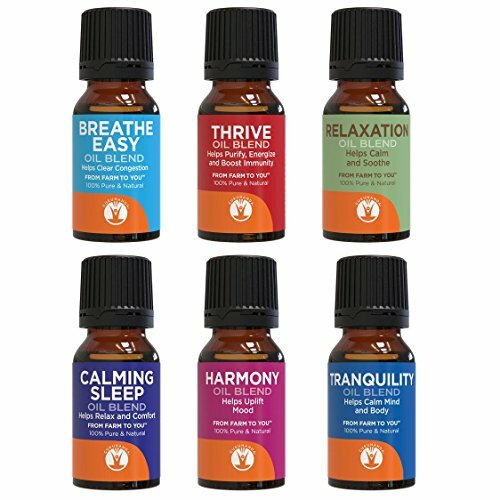 The Top 6 Essential Oil Set is The Perfect Starter Kit or Gift Set for anyone interested in Aromatherapy. Perfectly Packaged in 10ml Amber Bottles Fitted with Oil Droppers for Maximum Shelf Life, Maintaining its Pristine Quality. SET INCLUDES : 100% Pure and Natural - Verifed Therapeutic Grade Blends Tranquility, Breathe Easy, Thrive, Relaxation, Harmony, Calming Sleep Essential Oils 100% Pure and Natural - with Nothing Added, Nothing Removed. 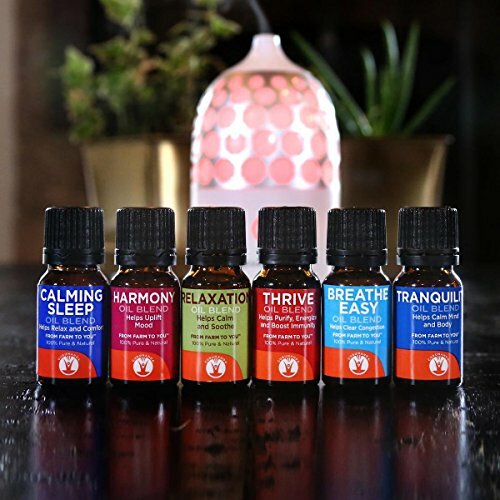 Our promise is to bring only the highest quality essential oils to our customers. Always Pure - Always Natural! AMAZING QUALITY AT WHOLESALE PRICES: GuruNanda is Superior because we work directly with the farmers ensuring Unadulterated Quality with Unbeatable Prices. Pure + Rigorous Quality Testing and Control: 3rd Party GCMS Tested, Verified & Certified 100% Pure & Natural. Try GuruNanda Therapeutic Grade Oils if you've appreciated products by ArtNaturals, doTERRA, Radha Beauty, Natrogix, Majestic Pure, Lagunamoon, Artizen, Healing Solutions, or Plant Therapy.